Meditation is not just limited to sitting in a specific place in a particular posture and concentrating, you can perform mindfulness and meditation while driving too. 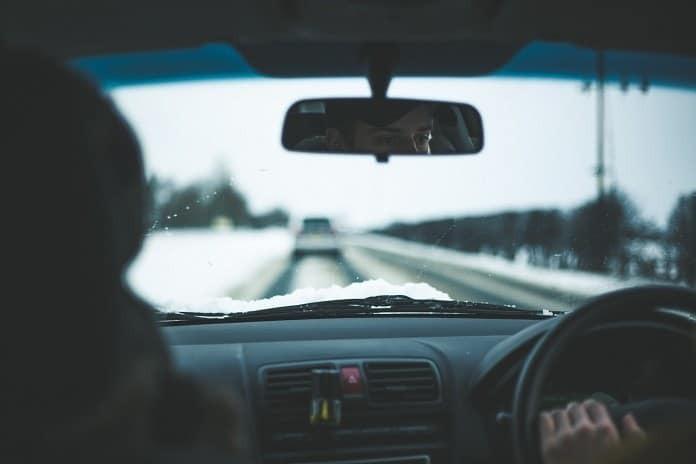 Driving meditation may sound complex and formidable, but you will be surprised to know how you can benefit from your driving time and instill mindfulness in you. We spend lot of time driving. A CNBC report revealed commuters waste a full week in traffic each year. Being stuck in traffic is a daily affair for most of us. However, you can utilize this time productively by meditating. It will also help you ease your daily stress. Daily driving commute is the best way to boost your conscious thinking and body-conscience. Whenever you are driving, your focus and concentration is always on the road. There are fewer chances that you divert your attention to something else. While it is true that we are literally living in the moment while driving, it is also necessary to note that we can do something spiritual that benefits our lives too. Listening to music or communicating with fellow passengers is surely harmless, but have you ever thought about how taking deep breaths while driving can aid to your well-being? Deep breathing while driving will improves your health. This will instill mindfulness within you, by letting you concentrate on one thing at a time while taking deep breaths. What are the first steps in meditation while driving? Many of us have a habit of listening to music while commuting. While it is not a bad habit, you need to stop that when performing meditation while driving. Do not put headphones on. It can also cause an accident. Avoiding music while driving will free you from all the distractions and you will be able to focus on your breathing, which is a good starting point. When you are traveling with your mates or other fellow passengers, it is important that you maintain silence. Also, if you are traveling with someone who knows driving and is willing to drive for a bit while you meditate; it’s a bonus. Always ensure that your attention is on the road. Do not look at billboards or some on-going construction on the road. There will be many other things that can draw your attention, but avoid them. They will distract you from both meditation and driving, which you certainly want to avoid. Safety should always be your first priority. We often tend to get immersed in thoughts while driving. Thoughts can be from daily life challenges, good or bad memories of our past or anxiety about the future. Some people also prefer to do mind mapping while driving. While quite useful in other aspects of life, it is a distraction when meditating. You must think about meditation only. This will infuse you with mindfulness, which will aid in safe driving too, as all your attention will only be on the road. Many of us get angry or irritated with traffic or rash driving on the road. However, it is important that when you are meditating, you remain calm because getting agitated due to superficial inconveniences defeats the purpose of meditation. From that perspective, meditation while driving will keep you calm, make you stay attentive and it will lead to safe driving. You need to follow some recommended postures and recommended hand positions of meditations while meditating indoors. Similarly, you also need to sit in a particular posture when you are performing meditation while driving. To start with, you need to have a straight spine and straight body, but you should be comfortable. • Keep your car seat upright. • Put a small pillow between the seatback and your lumbar. It will help in spinal coordination. • Body movement is inevitable while driving. However, it is advisable that you stay as steady as possible and avoid fidgety movements. • You should put your car in cruise control as it will help you settle before you start meditation while driving. How to concentrate when you are performing meditation while driving? Meditation is all about living in the moment. However, it is also important for you to know how you can avoid other thoughts when you are performing meditation while driving, because mindfulness is not easy to attain. The most useful technique to be in the moment is to stay focused in the process of driving. Focus your attention on everything that is an integral part of driving which includes being attentive towards the road, conscious about your surroundings, your body movements that help your drive etc. Remember that meditation is also about body-consciousness. There is a formal technique about being in the present while performing meditation while driving. This technique is known as the “Focus Out” technique. • Let your attention float between external real-time physical visions, sounds and sensations. Be aware about the external sources that affect you. • Get immersed in the experience. Observe the color and shapes of other cars and the roads. • Listen to every sound including sound of car and other elements as it induces energy of vibration. • Feel all your actions like movements of your hands on the steering of the car and sensation of all other body parts. Noticing body sensation while you are driving without doing anything about them will help your muscles relax. You need to perform everything and feel the body sensations without analyzing them. If you start analyzing them, then you might get distracted and get immersed in other thoughts which will not contribute to meditation. However, when you are focused in feeling each sensation, you will gain body-consciousness and mindfulness. In the bigger picture, this will encourage a habit of looking at things in their uninflected form and it has a calming effect. This will lead to self-liberation. The time you get into analysis which leads to varied thoughts, you lose your concentration and your mindfulness. Many people enjoy the ‘Focus Out’ technique while performing meditation while driving, as it is easy to learn and follow. However, to develop eternal mindfulness is a difficult task, but you can do that by practicing. Focus out technique brings tranquility and induces self-liberation. Breathing meditation is the most basic and prevalently used technique in meditation. In this technique, you can play music in car or even converse with fellow passenger. However, at the same time you need to focus on your breathing. One-time inhalation and exhalation becomes one breath and you can practice it by counting your breath. This will help you continue with the practice at a subconscious level. This is one of the best ways to meditate while driving. You can select any phrase of a mythological or religious book that belongs to your community. There is no single phrase that you need to chant. It is a flexible process and subjective from person to person. Chanting mantras while driving will have two benefits. You will be able to concentrate on your driving without being distracted and at the same time, a spiritual energy will generate in you. This is a technique of kindness and loving unconditionally. In this technique, you make it an imperative to always evoke positive vibrations around yourself. Metta technique of meditation entails use of words and phrases like ‘May you be well’, ‘May God bless you’, ‘May you be happy’, ‘All is well’ among others. These phrases eliminate all the negative energy and create a positive environment. Moreover, people surrounding you will get highly influenced by Metta technique. Not everyone can do meditation while driving, especially when it is difficult and needs lot of practice. You can start by slowing down your vehicle or taking a break in between to breathe in and breathe out. This will make your meditation practice easy. Moreover, you don’t have to meditate throughout your journey. You can start small and gradually increase duration. All you need to do is meditate before kick-starting your journey and after reaching your destination. You can also do it when the traffic light is red. The idea of meditation while driving itself sounds dangerous because there is also a notion that you need to close your eyes when you are meditating and find a place and best time to meditate. It may be possible that you find this idea great and are willing to utilize your commute time in the best way by meditating while driving. However, you need to know that before you embark on this journey of meditation, you should be an experienced driver. Performing meditation in your initial days of driving can be dangerous because you aren’t already accustomed to the hand-foot-eye coordination. Moreover, mixing body-consciousness and mindfulness with earlier anxiety which is inevitable for a new driver can be dangerous. This may lead to an accident. So, ensure that you are already good at driving. You can perform meditation while driving anywhere. It doesn’t matter if you are performing it on a highway or a regular route to your office or home. However, you need to practice the art of meditation while driving on freeways. It’s like learning to drive, which you need to do step by step. First, you learn on empty streets and then you move on to the crowded places and once you become an expert, even the busiest roads won’t be a problem for you. Same is the case with driving meditation. You should practice it on freeways where there is less movement of other vehicles. Once you get the nuances of it, you can always practice it anywhere. Before you embark on driving meditation journey, it is preferable to meditate at home. You can’t meditate while driving before you are familiar with meditation indoors. Once you learn important things about meditation at home, you will be confident and will be able to coordinate both driving and meditation. Meditation while driving needs lot of mindfulness and focus that you can build by meditation for concentration. Whenever you are doing meditation while driving, you don’t have to compel yourself to continue it once you have started. You may be preoccupied sometimes, and it becomes difficult to concentrate. Even if you meditate regularly, this may happen and there’s nothing wrong with it. Sometimes your mind and body just aren’t ready for meditation while driving. The moment you start feeling pain or your thoughts start distracting, stop the practice and take a break. You can always start again. The idea is about not being fussy about it and at the same time performing it with dedication and discipline, which is only possible when you are at ease. Meditation while driving is the best way to utilize your ‘blank hours’. This practice can add lot of value to your life. Moreover, if you start it right and get accustomed to all the techniques, you will be able to leverage this technique to minimize negativity and in the bigger picture, it will be beneficial for your health too. Since your mind would be at peace once you reach your workplace after a meditative drive, you will be able to concentrate more on your work, which will subsequently bring wealth and prosperity too. Allen Wei is someone who believes in living his best life, focusing on balance, happiness, and relaxation. He fosters a positive lifestyle in terms of his body, mind, and environment, and he is a huge proponent of learning to be balanced via relaxation techniques integrated into our busy lives. Meditation Vs Hypnosis: What are the Differences between them? LearnRelaxationTechniques share all about a happy life, balance, relaxation, and how to achieve each of these in a happy manner.